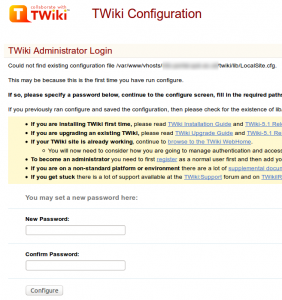 I am not necessarily a fan of this software as I find it a bit less than intuitive to use but I set it up on one of our CentOS servers for someone else and thought I would jot a few notes about the process. 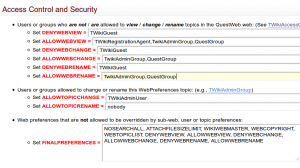 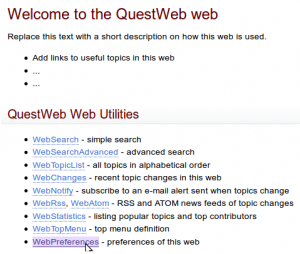 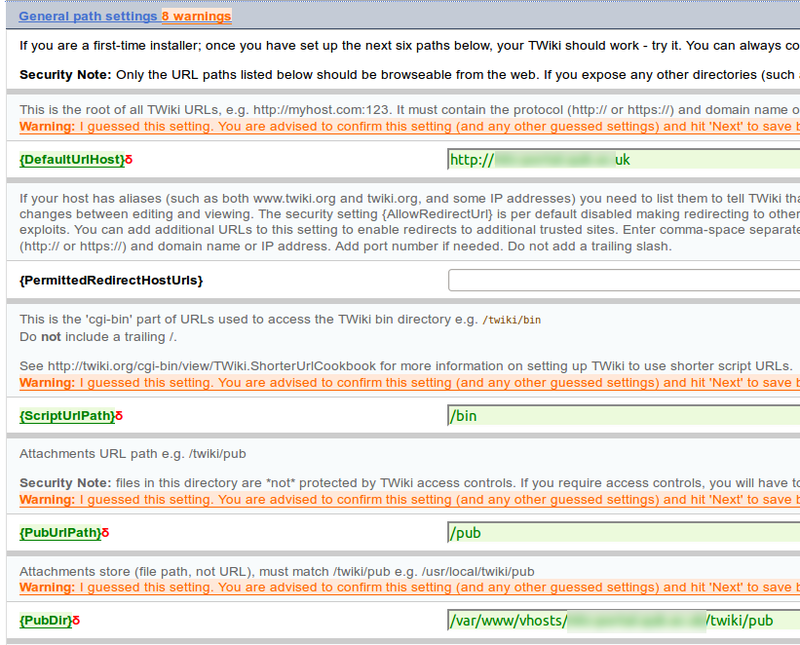 Set up vhost in Apache httpd.conf file, as per online twiki documentation e.g. 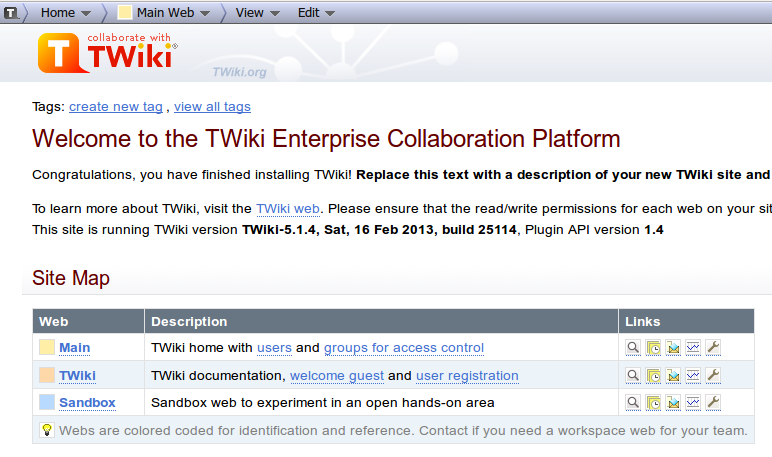 Click ‘Next’ then ‘Save’ and visit the homepage of your twiki. 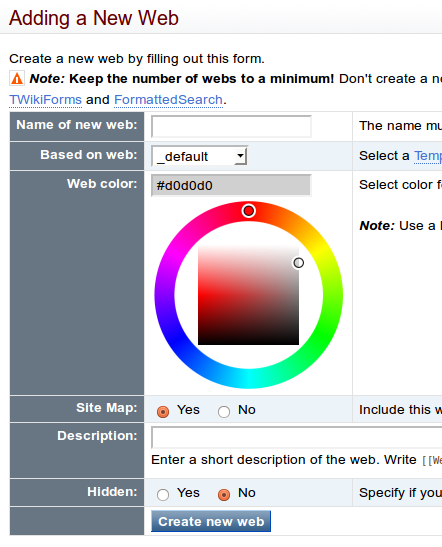 You should see something similar to the screenshot below – if not fix any errors. 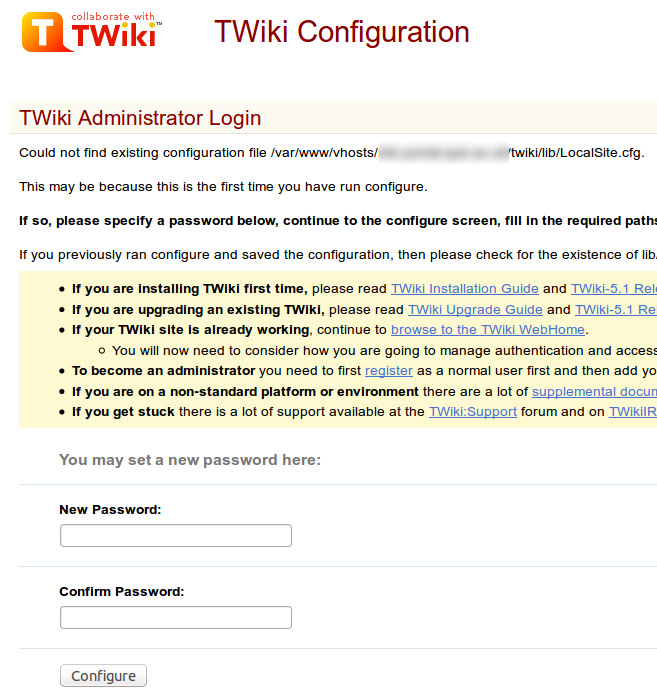 If you try accessing your new protected Web you will be asked to Login or Register. 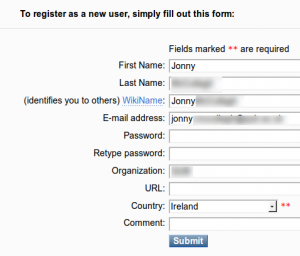 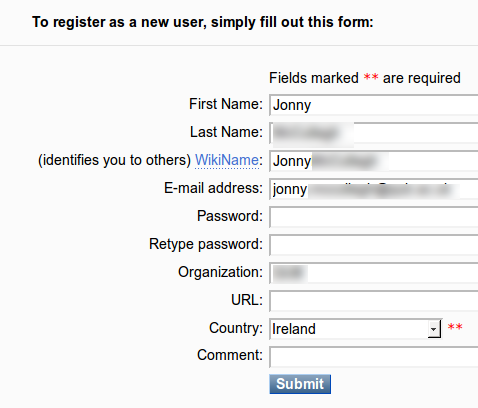 Fill in the registration form and you should receive email confirmation. 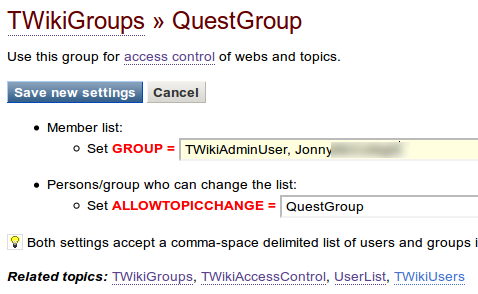 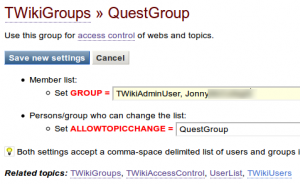 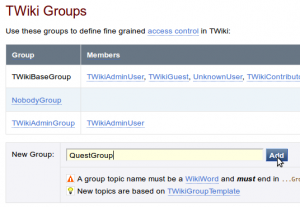 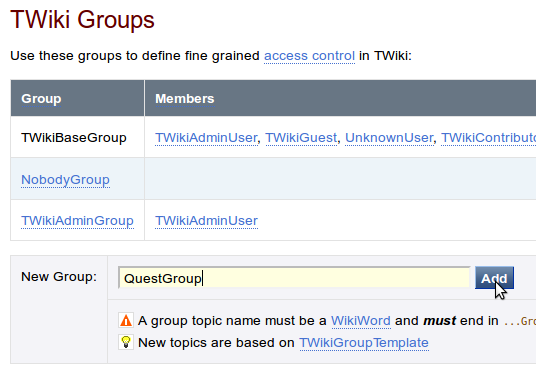 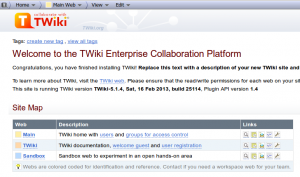 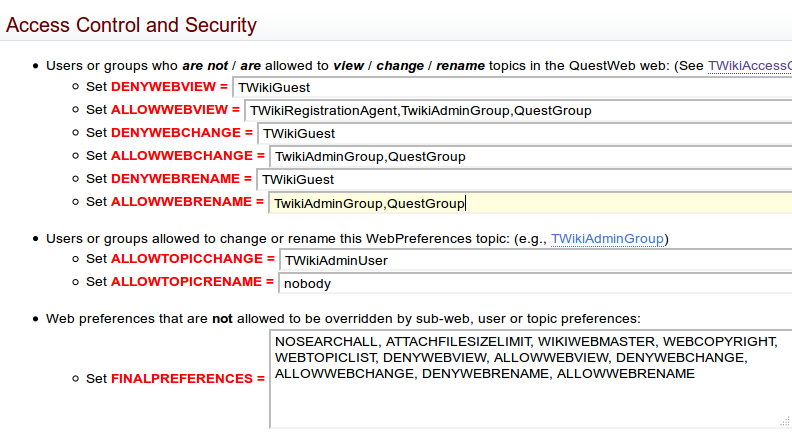 The TWikiAdminUser can then visit the TwikiGroups page and click on the name of the group to which the new user should be assigned (allowing them access to the protected web) see below.